Endorphins are morphine-like chemicals produced by the body that help diminish pain while triggering positive feelings. Sometimes referred to as the brain’s ‘feel-good’ chemicals, the body also has natural painkillers when released from the pituitary gland of the brain during exercise, emotional stress or pain. Learn more about the important role of endorphins in addiction. The brain is deeply impacted by the abuse of drugs and alcohol. Tolerance builds when an individual takes more of a substance to obtain the same impact on the body. Neurotransmitters in the brain impact the reward system of the body and the risk of addiction can increase when drugs or alcohol are used to the point of tolerance. Substance abuse impacts two neurotransmitters: dopaminergic and opioidergic systems. Substance abuse damages the natural chemical systems in the brain which is the seat of the body’s rewards system. When tolerance builds, cravings for the substance go up and seek out the drug or alcohol. Many studies have been done to examine the relationship between exercise and endorphin release. Endorphins are often implicated in euphoria known as ‘runner’s high,’ the relaxed psychological state sometimes experienced during or following vigorous exercise. Inconsistent evidence for a significant rise in endorphin release makes it difficult to deduce endorphin release due to exercise as the cause of euphoric feelings. The so-called ‘runner’s high’ has not been documented or proven but many people still believe in the power of exercise to release endorphins. Since addiction alters the brain and the natural neurotransmitters, treating substance abuse requires having a plan specific to an individual’s situation. Each individual needs a personalized treatment plan because his or her specific needs will vary. An effective treatment plan includes several options including counseling, cognitive-behavioral therapy and alternative therapies. Many complexities exist when treating addiction so it is necessary to find the right treatment place to offer support and resources for the journey to recovery. 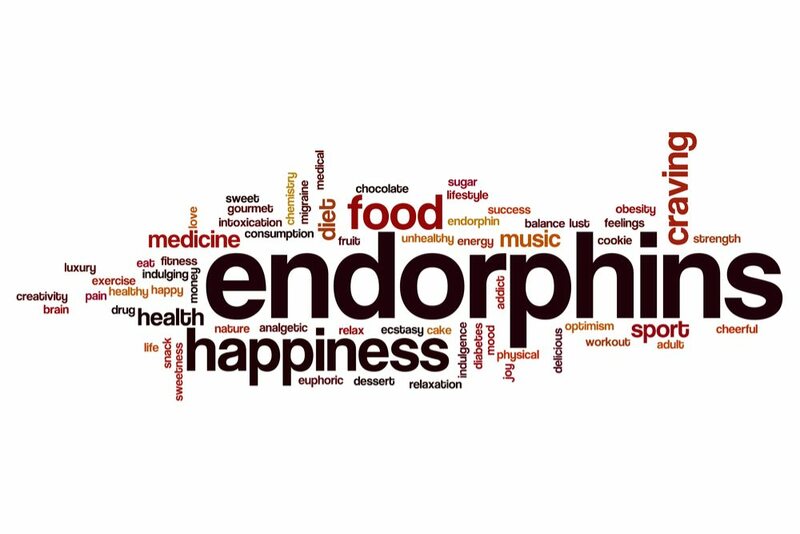 Endorphins alter the way the body responds to the environment. Many people will seek to feel a high which comes from exercise or drugs when it is released from within the brain. This is why it becomes challenging to focus on treating addiction because it can be difficult to give up that feeling but is necessary in treatment of addiction if a person wants to heal. We encourage people who are struggling with addiction to take time out for treatment. Before things get out of hand, call us to find out how our treatment programs and therapeutic support staff can help you recover from substances. Call us today at 1-877-938-1577.